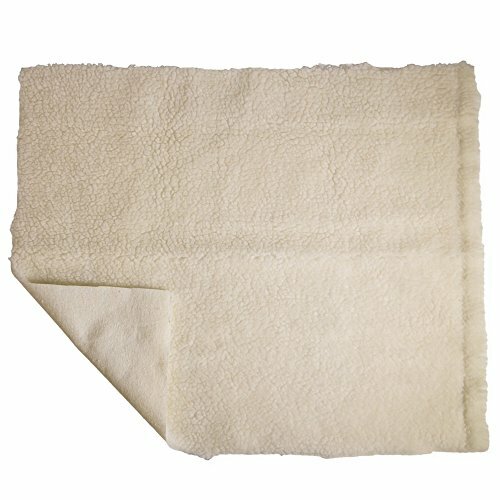 PCP brand synthetic sheepskin pressure relief overlay pad is used to prevent decubitus ulcers, also known as bed sores, that can result from prolonged periods of bed rest. Pressure sores have three main causes: pressure, friction and moisture. Pressure sore relief pads work to reduce pressure at the point of body contact, eliminate friction and tearing of the skin and prevent the buildup of surface moisture, keeping the patient dry. Available Sizes: 24" x 30" (PCP model 6261); Size 30" x 40" (PCP model 6262); Size 30" x 60" (PCP model 6263); Size 30" x 80" (PCP model Size 646400); Size 60" x 80" for hospital size bed (PCP model 6264), Size 18" x 18" for use as wheelchair pad (PCP model 6266). Stays soft and thick through repeated use and laundering; Resists build-up and conduction of static electricity. Available Sizes: 24 x 30 inches; 30 x 40 inches; 30 x 60 inches; 30 x 80 inches; 60 x 80 inches (for hospital size bed); 18 x 18 inches (wheelchair pad size).